We are the students of NIT Warangal. 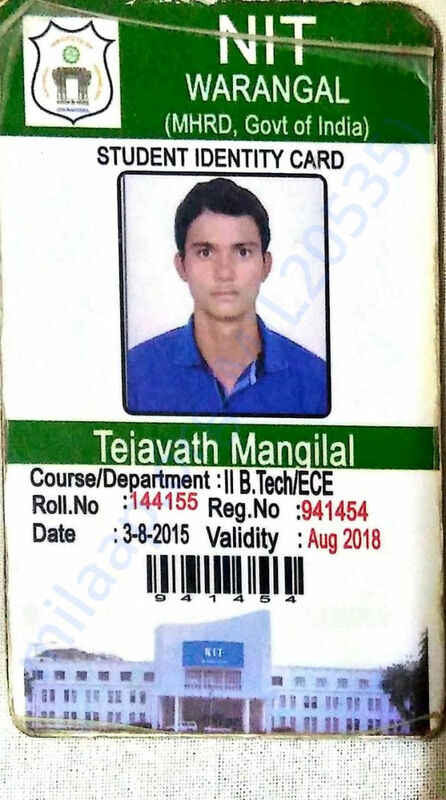 Our friend Mangilal Tejavath, studying in ECE dept. has been suffering with acute leukemia from 16 months. His initial treatment could not make the situation anything better. 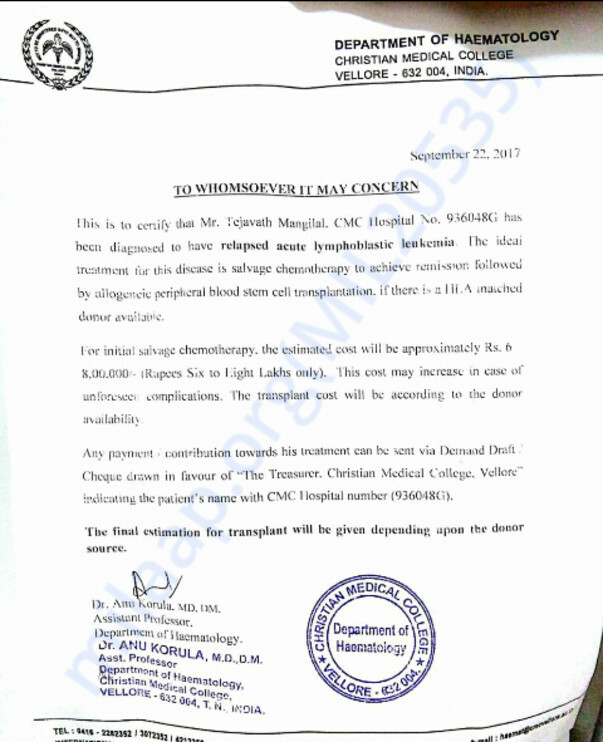 He has to undergo Chemotherapy immediately, followed by Bone Marrow transplantation which would cost about 35-40 lakhs as said by the hospital authorities of Christian Missionary College,Vellore. He hails from a poor(we literally mean it) agrarian family from a remote village Chinna Banjara Thanda, Garla, Khammam dist. 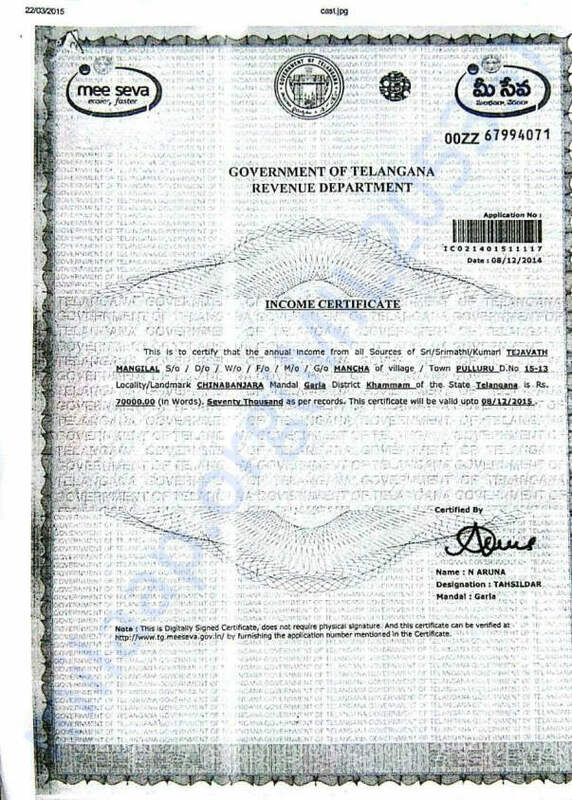 Telangana. 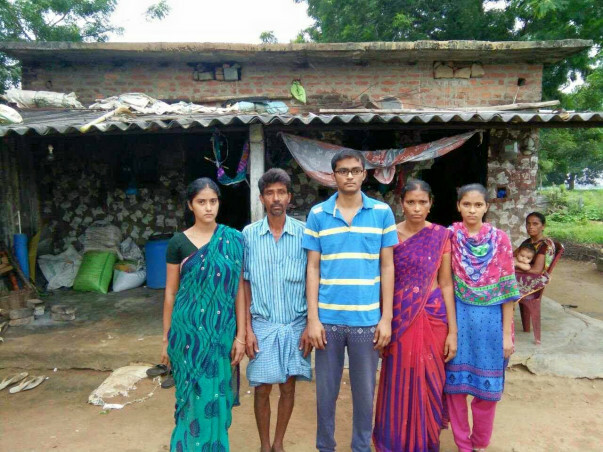 Inspite of the hardships from childhood, he managed to score 9.8gpa in class 10 and 975 in intermediate. We have some good news to share with you today. All our prayers and help yielded this great happening. Mangilal Bone Marrow Transplantation has been completed. Doctors are of the opinion that he will get recovered in 15 days and will be kept under observation for 3 months and then we can see our friend walking free again. It looked impossible at the beginning , hard to imagine a solution. But then hope created chances, ways, every single help, every single wish pounded into a great happening that resulted in this miracle. 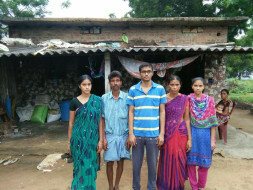 You all supported us, supported our friend Mangilal in his crucial point of life. He will never forget us, he will live for us with greater spirits. 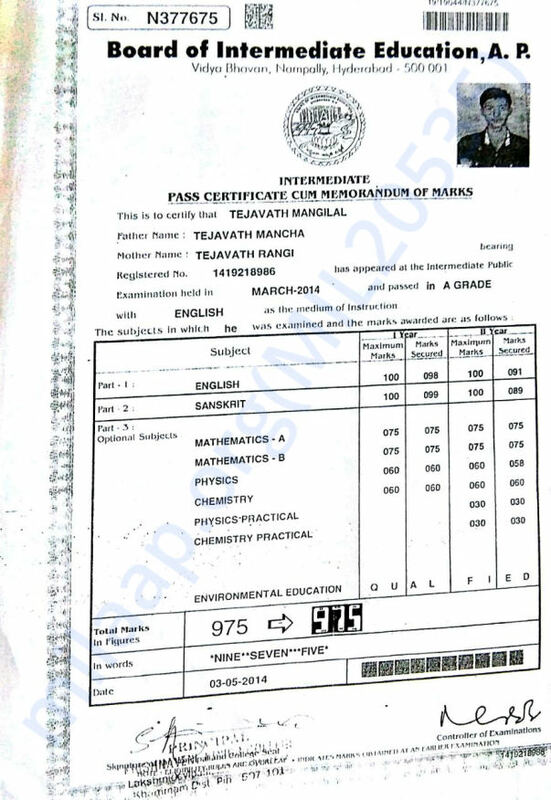 Mangilal's BONE MARROW TRANSPLANTATION is scheduled for this SATURDAY. His sister will be the donor as she is a match. It will be a 4 hours treatment. The pre-transplantation tests are going on, he is at present undergoing Radiation, which kills cancer cells in his body to '0' percent. The recovery after the transplantation takes 15 days. After the transplantation, he will be kept under observation for a period of 3 months. 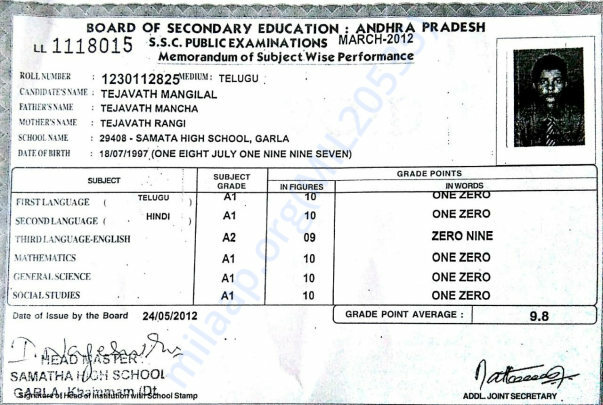 Thank you very much for all the support you've been giving to Mangilal. That does a great part in boosting his mental strength to defeat his cancer. Wish him for a fast recovery and normal life again. Do pray for his health and speedy recovery. Believe and live in it, to make it happen. Thank you all once again. Will keep you posted. We have some good news to share with you today. 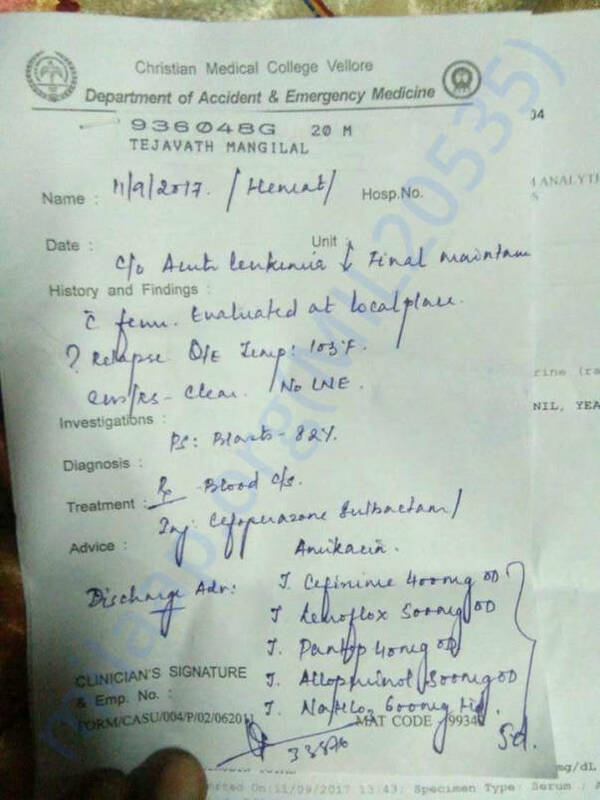 Mangilal's bone marrow test after the last chemotherapy showed a POSITIVE result (less than 5% cancer cells) and so he can proceed to the BONE MARROW TRANSPLANTATION, the final treatment. His own sister will be the bone marrow donor. The treatment will be held during 1st or 2nd week of January.